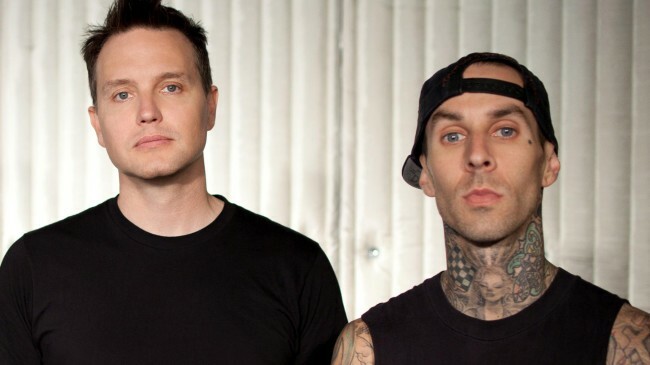 Travis Barker has confirmed Blink-182 will release their seventh album in 2016. The group revealed in October that they’d started writing material, following a handful of shows with the new lineup in March. The follow-up to 2011’s “Neighbourhoods” comes after a year in which Travis Barker and Mark Hoppus split with Tom DeLonge. Tom abruptly left the band in January after Mark and Travis revealed in a statement that Tom had allegedly quit because he refused to commit to recording again. Matt Skiba from Alkaline Trio was quickly bought in to replace Tom at their gigs but Tom denied the entire incident on Instagram, saying he ‘never quit the band’.